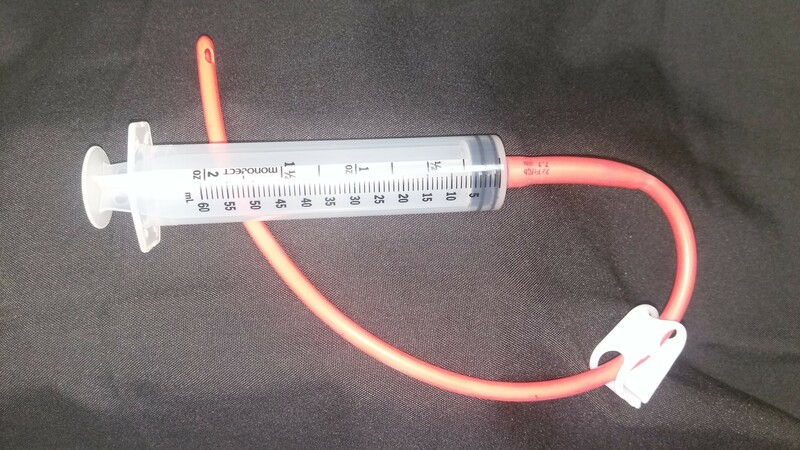 60 ml Syringe can be used with the red rubber or silicone catheters to administer castor oil for the castor oil enema. Catheter and clamp sold separately. Also sold individually for $1.75 each, see other item listing. Catheter and clamp sold separately. 60 ml Syringe can be used with the red rubber or silicone catheters to administer castor oil for the castor oil enema. Catheter and clamp sold separately. Also sold individually for $2.25 each, see other item listing.